I’ve seen the photos and memes of one particular phrase floating around the past several years and I bet you have too. 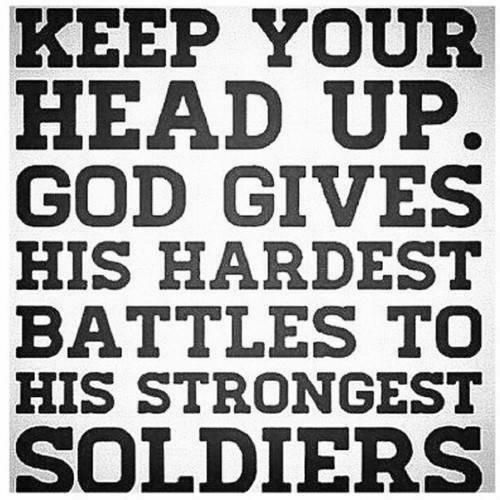 It’s this: God gives the hardest battles to his strongest soldiers. Judging by how frequently it’s shared, it’s a rather popular sentiment. After all, it sounds good. Perhaps even a trifle comforting. There’s nothing we need more in the middle of our personal storms to know that our crisis won’t destroy us. That we’re strong enough to handle it and emerge victorious. I understand the warm fuzzies that come from this well-intentioned phrase but honestly, I believe the idea that God gives his toughest battles to His strongest soldiers is wrong. Here’s the thing: thinking that we’re strong enough to handle a hard battle might be the very reason we’re having a battle in the first place. Let me explain. Being one of the ‘strongest soldiers’ implies that we have strength of our own to fight and emerge victorious. It’s saying that we can handle a tougher challenge, more so than the ‘weaker’ soldiers out there. Isn’t this a form of pride? Not that we’re going through a tough time, but because we believe we are strong enough to handle it on our own? The blunt truth is, we’re not strong enough to handle our storms. Speaking for myself, I have trouble getting through the day-to-day stuff, much less the big stuff that life throws us: the cancer diagnosis, the job change, marital stress, wayward children, financial difficulties, cranky people, etc. We all go through tough, messy stuff and a sure way to make a messy situation even worse is to think we can handle it on our merits and abilities. God doesn’t give us those battles because He thinks we’ve got it together. If we did, we wouldn’t have needed a Savior. Sometimes, we go through some tough stuff because we need to work on our weak areas, our sin-filled cracks that we’ve so desperately tried to cover up. He has to strengthen us, toughen us up to prepare us for something greater on down the road. Think of it like a trainer trying to prepare an boxer for a fight. Say the trainer lets the athlete sleep in late, eat donuts and potato chips nonstop, and allows him to spend most of his day watching TV. What happens when the athlete must step into the boxing ring and strap those gloves around his sugar-coated fingers? Yeah, he’ll get creamed. 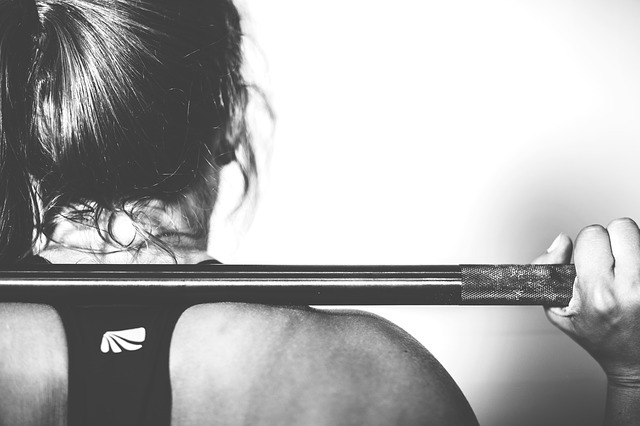 A good trainer pushes the athlete to grow stronger, faster. For each milestone, the trainer sets another and another. He adds more weights, more resistance until the athlete is in prime fighting shape. It involves a lot of sweat, a lot of determination and a lot of pain. Far from the donut-eating, television watching scenario we often prefer. It’s the old karate kid wax-on, wax-off mentality. We may not always understand why we are going through something that doesn’t make sense, but if we want to survive in the ring, we have to trust our Trainer. If we let Him, God can use those battles to chip away the hard places in us until we resemble His Son. We don’t move in our own strength. We move in His. And ultimately, God’s children don’t need to fight for victory. Jesus already bought that when He rose and conquered death. We fight from a position of victory. 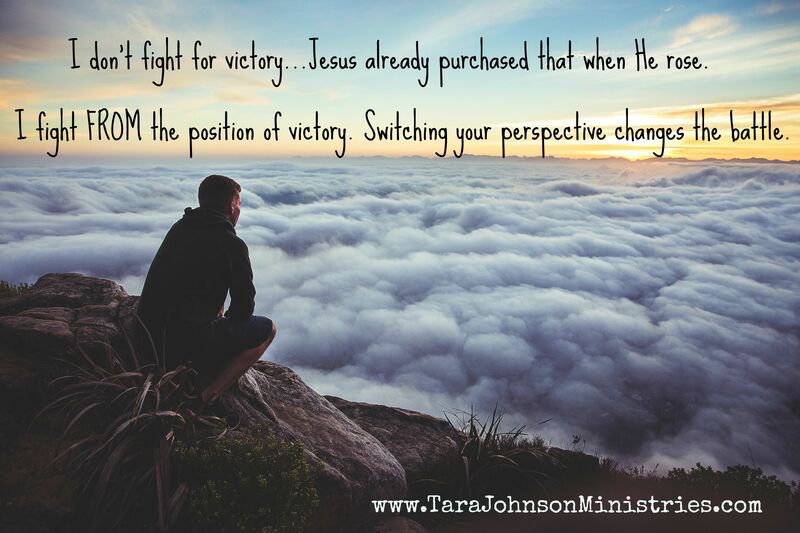 Switching your perspective changes the battle. 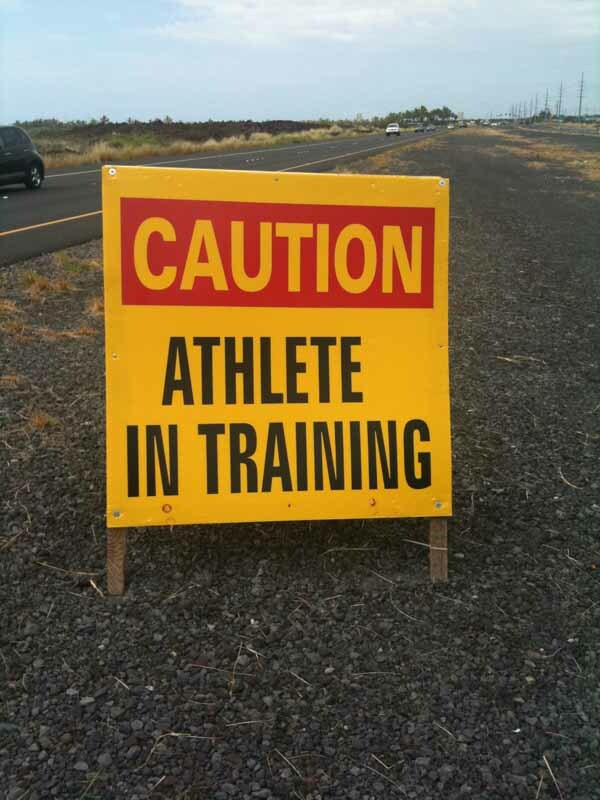 Yield to the Trainer. Keep fighting. Keep growing. Keep on keeping on. Your Trainer knows what He’s doing. Have you ever gone through a hard time that you didn’t understand only to see God use it in a big way? I would love to hear your thoughts! When hubby lost his job just before I was set to retire, I had to concede that my plans were not going anywhere. God’s plan was so much better. We now have jobs we love, but we can see where those jobs fit into our lives, instead of dominating them. Love the image of looking down from a position of victory. We know Who brought us here. There have been a number trials God has used trials ion my life. I rarely see what He’s doing in the moment, but the lessons learned become grounded in me, and then He’s able to use me to encourage other a walking through similar situations. I love both of your hearts, ladies! You’re right….we may not even see the ‘whys’ of something we go through in this lifetime but knowing that God is working all things for our good and His glory, well, it gives us the courage to keep standing!